Dr. Helen Turnbull is interviewed by a client in Sydney, Australia and speaks about what it takes to create an inclusive work environment. She discusses the challenges and barriers that need to be overcome and addresses the importance of engaging the hearts and minds of the key leaders in order to leverage any inclusion initiatives. For more information please watch the video. Do you understand the importance of understanding where your unconscious bias comes from and how it impacts the quality of our day to day decision making? No one gets to be a phenomenological exception and Dr. Turnbull addresses the need for us to catch ourselves and be more mindful of how these biases show up. She suggests that we need to move our biases from the back of our neck, where we cannot see them to the edge of our shoulder where they are at least on our peripheral vision. Understanding and mitigating biases such as confirmation bias, pattern recognition bias, affinity bias and covering or assimilation will have an important role to play in improving your chances of attracting, retaining and advancing your talent pipeline. According to McKinsey good analysis by good managers does not always lead to good decisions. Daniel Amen in “Change Your Brain and Change your Life” tells us that only 5% of our decisions are made consciously and 95% of them are being made unconsciously. Did you know for example, that the Bargh Study at Yale University demonstrated that interviewers holding a hot drink were found to have a more favorable impression of candidates than someone holding a cold drink? What might that say about equitable treatment; fairness and the meritocracy? Can we really be inclusive if our blind spots are getting in our way? One of the myths around Diversity and Inclusion is the idea of a meritocracy. There is no such thing as the innocent eye; we all view objectivity through the eyes of our own subjectivity and Dr. Turnbull discusses the fact that many biases, such as confirmation bias, pattern recognition bias and affinity bias play a part in ensuring that we are not as objective as we might believe. Human Facets’® Unconscious Bias Program is the leading edge on the global inclusion and diversity journey. The program offers a unique and robust solution to enable leaders to address their unconscious biases, at both a group and individual level, enabling them to leverage this knowledge to create a more inclusive environment. Elements of the program include an interactive Unconscious Bias workshop, our Cognizant Online Assessment tool, an individual, confidential report and one-on-one interview with an experienced diversity consultant, a Cognizant™ group report that is delivered at a strategy workshop and embedding inclusion activities to ensure the culture change is driven into the organization. Each program Human Facets® delivers is completely customized to meet the client’s needs and we work diligently to guarantee you get measurable, bottom line results. 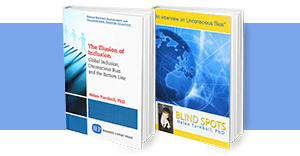 Contact us directly at (954) 370-6343 to get the details on our customized Unconscious Bias Program or learn more about the natural follow-up to this program, Embedding Inclusion. Get in-depth insight into the impact of unconscious biases on organizations, individuals and groups. Human Facet’s Unconscious Bias Program incorporates a global online assessment tool designed by Dr. Helen Turnbull to raise the unconscious to consciousness, helping you discover what’s hindering your progress.